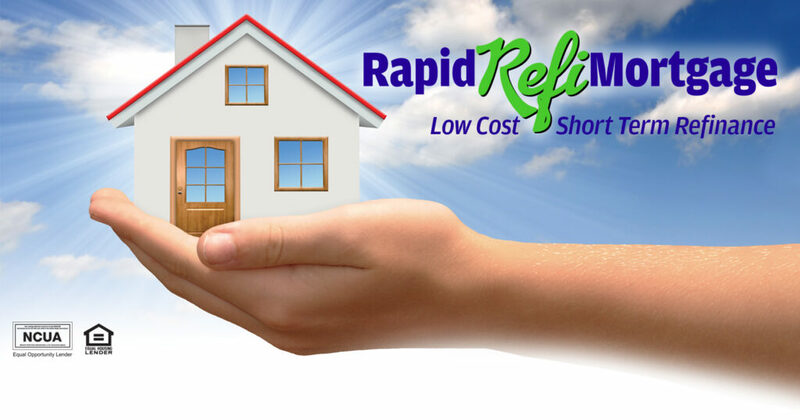 Payoff your existing mortgage faster with our Rapid Refi Mortgage program, with low fixed rates, low closing costs and accelerated terms, you can save thousands of dollars and be mortgage free sooner! Easy and convenient ways to apply! Call, chat, apply online or visit one of our convenient branches near you! SPECIAL! WAIVED $450 APP FEE & NO PAYMENTS 60 DAYS!